Low pressure may not be dangerous, but it certainly should not be ignored, the current statistics show that the most vulnerable are middle-aged women in their 40s and 50s it is also very often present during pregnancy. Symptoms of low pressure that are the most common: dizziness, fatigue, drowsiness during the day, yawning, fatigue, poor concentration and lack of energy. Also, anxiety or depression may occur, feeling a strong heartbeat, excessive sweating. Of course, these problems do not occur on a daily basis with all people suffering, although sometimes completely do not occur. If it is any consolation, people with low blood pressure are exposed to lower risk of heart attack and heart disease, and kidney disease, but this condition should not be overlooked because it may indicate to an another condition. To confirm hypotension, you should measure pressure several times in the outpatient setting and to check if the value of pressure is lower than 100/60 mmHg. 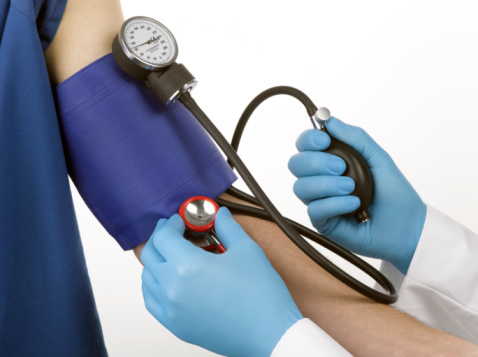 Blood pressure is the force with which blood is working on a unit area of ​​a blood vessel. This definition describes the influence of pressure pulses that are created when the heart pumps blood into arteries. Namely, every heartbeat represents the ejection of blood from the left ventricle and then the pressure rises, while between two contractions, when the blood from the atria flows into the chamber - decreases. Because of these alternating pulses, there are two levels: the upper - lower systolic and diastolic blood pressure. While hypertension destroys the cardiovascular system, low pressure or hypotension is not so dangerous. Still since it reduces blood flow to the organs, it eventually leads to poorer nutritional tissue. The most obvious health problems can occur when blood pressure drops suddenly, because then the brain does not get enough blood adequately, which causes dizziness and fainting. Blood pressure values ​​depend on many factors, because sometimes they are not known, but it is important to note that low pressure for one person, may be "normal" pressure but for other person it may not. Sometimes the condition is associated with pregnancy, hormonal disorders, and the effects of certain drugs, cardiac arrhythmias, various health disorders, as well as body weight and age. The risk of low pressure increases with age, mainly due to changes caused by aging, but proven that up to 20% of people over 65 has a so-called postural hypotension. Diseases that are sometimes caused by this type of amyloidosis are hypotension, vitamin deficiency, spinal cord injury and cancer, especially pancreatic cancer, and lung cancer. In addition to permanent low pressure (chronic primary, idiopathic hypotension), which is not possible to discover the cause, there is a so-called secondary hypotension, which is caused by various medical conditions, medications, physical activity, age. Some of the conditions of sudden pressure drop as the postprandial or orthostatic hypotension, which occurs in a number of people directly after a meal, most frequently in the elderly or otherwise elevated pressure disorders of the nervous system. Permanently low pressure is rarely an indication of serious health disorders, because the body is used to it and often symptoms of low pressure are completely absent. Conditions that can cause it are also various infections, low or high body temperature, endocrine disorders (such as decreased activity of the thyroid gland), diabetes, various cardiovascular diseases, dehydration, bleeding, alcohol consumption, poisoning. Besides this there are hereditary factors, permanent low pressure which can also be caused by a specific diet, physical (in) activity, stress or inadequate physical activity. Research has shown that women are twice as likely to develop primary hypotension. Postural or orthostatic hypotension usually occurs after getting up from lying down, and arterial represents naturally lower blood pressure. Low pressure in pregnant women and rapid pulse quite commonly occur due to hormonal changes and in the burden of the circulatory system. Symptoms of low pressure are dizziness and fainting, which may occur mainly due to sudden changes in body position (standing up). From the symptoms of hypotension young women often suffer, which is the effect of hormones. If you are pregnant, do not ignore the low pressure, but consult with a physician who monitors your pregnancy. First you need to determine whether it comes to primary or secondary hypotension, and it is diagnosed by a complete review and multiple blood pressure measurements in the supine, sitting and standing position. Low pressure is not necessary to be treated if it does not cause any symptoms and does not affect the quality of life, that is if it is a low arterial blood pressure. To mitigate the problems, it is necessary to gradually change the diet, get enough sleep, regular physical activity and slowly get out of bed, and if these measures do not help, it is necessary to consult with your doctor about possible drug therapy. While most people affected first reach for a cup of coffee, experts warn that this drink does not help, because it raises blood pressure only in the beginning, but later it lowers creating a counter effect. There are excellent natural remedies for low pressure, so let us. Scientific studies have shown that hawthorn raises blood pressure in case of a weakened heart muscle. It cleans the blood, stimulates the heart and normalizes blood pressure, and in the fight against hypotension recommended is also parsley (strengthens the heart muscle), celery, onions, nuts and legumes, which stimulate circulation. You should avoid foods that naturally reduce blood pressure, such as banana, watermelon, kiwi, raisins and chocolate. We have prepared several natural recipes! One teaspoon of broom flower, immerse in cold water and leave it to spend the night. In the morning warm it over low heat in a submerged dish. When tea boils cook it some 2-3 minutes and then remove from the heat. Strain and drink unsweetened. Drink for three days and then take a break for one day. We recommend that you read the article glycaemic index.